CyclingJoe: Is this what we are AFRAID of in Dunwoody?? Is this what we are AFRAID of in Dunwoody?? 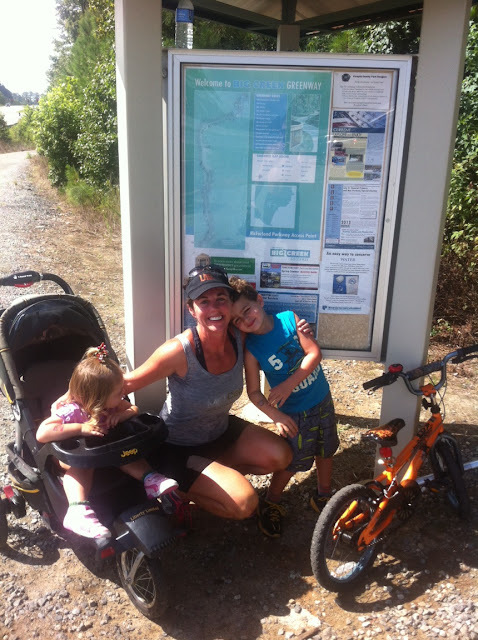 Is this a picture of what we are AFRAID OF in Duwoody if a system of greenway Multi-Use trails are built in our community? I certainly hope not. This photo is from the Roswell / Alpharetta Big Creek Greenway system. Just a few short miles north of our homes. Yes, Kathleen & I go here frequently. Then we often end up spending our money in Roswell, too.To get a glimpse of what could be our future in Dunwoody, I recommend that you go for a nice walk, bike ride, jog, rollerblade, etc. on the Big Creek Greenway in Roswell / Alpharetta. Bring a picnic, a book, camera & enjoy. Take Holcomb Bridge & go north on Old Alabama. It’s about ½ mile on the left. Drive past the first parking lot (on the right, for mountain bikers) and go a few minutes down the dirt road. You’ll come to the end & park where there’s a building for restrooms. That’s the trailhead. You can go 7 miles without getting on a road. 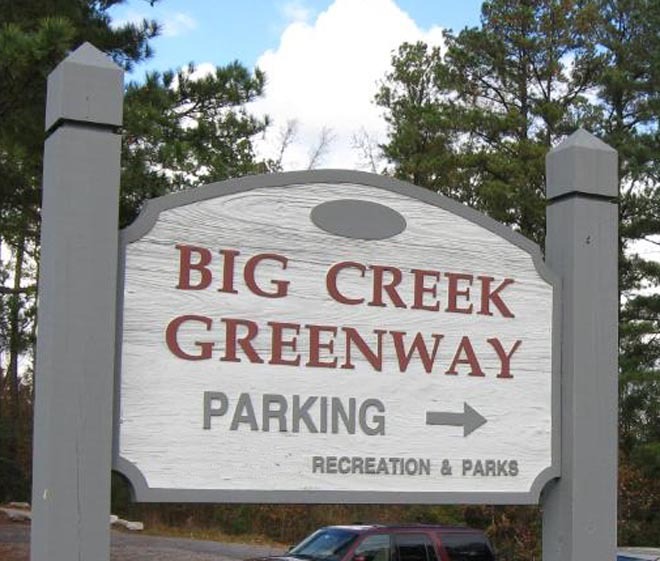 It meanders along the Big Creek stream, and around mile marker 1 (guessing), you’ll see the back yard of homes on the right, and a walking path connection into the neighborhood. All along the 7 miles there are side access trails up into neighborhoods, and at several points it borders back yards. Kathleen loves to go there. Even in the oppressing heat in the middle of the summer, it’s “bearable” on the trail due to the shade from the trees. The trail will be connecting into the Forsyth county system. In a few short years we’ll be able to go all the way up to Lake Lanier! This is not like the Silver Comet trail where an existing trail line existed. They had to secure rights of way, and clear & prepare the trail ground. I would like your readers to indulge me and take a hop over to the John's Creek City website, here: http://www.johnscreekga.gov/services/parks/parks/dogpark.aspx As you love cycling I love my two magnificent Flatcoat Retrevers, so the link goes John's Creek Newtown Dog Park. Look at the left margin of the website, see where it says 'multi-use trails?' Folks like me and Joe want this type of amenity, subject to funding. 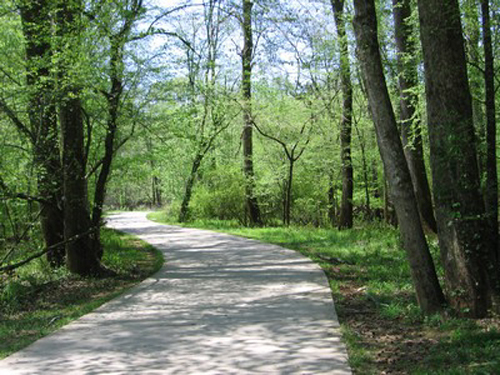 Dunwoody is building a trail system and funding their Cash Surplus account. Joe and I won't need to drive somewhere to do something cool.